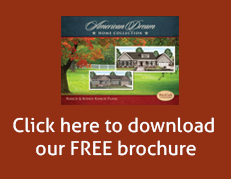 Get a Free Download of a Floor Plan Brochure! Please enter your name and email address below for a Ritz-Craft brochure. Thank you! Becker Homes is a third generation business with over 50 years experience in building custom modular homes and manuactured housing. Becker Homes has 11 model homes on display in Walnutport, Pennsylvania to view. Stop by and see why Becker Homes has been the leader in modular and manufactured housing in the Lehigh Valley and surrounding areas.